Gold Medal Bean Bags 30008468813 Small Fuzze Suede Bean Bag for Children, Cheetah Print by Gold Medal Bean Bags at Indsight. MPN: 30008468813. Hurry! Limited time offer. Offer valid only while supplies last. 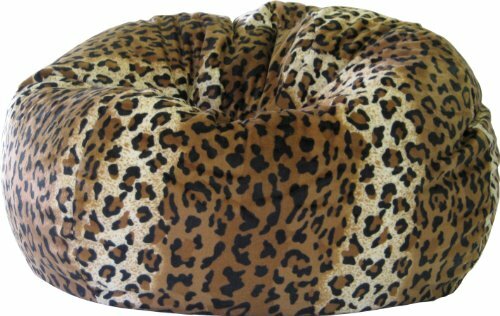 The Small Cheetah Bean Bag is Ideal for a Child/Toddler. It is Sturdy, Double Stitched, and has a Child Safe Zipper. Cheetah Print is Fuzze Suede. The Small Cheetah Bean Bag is Ideal for a Child/Toddler. It is Sturdy, Double Stitched, and has a Child Safe Zipper. Cheetah Print is Fuzze Suede. Comfortable, child friendly size is perfect for playtime. 84" Circumference (L26" x W26" x H15"). Comfortably Fits all Ages. This Durable Bean Bag is Made in USA and has Easy Spot Clean Maintenance. Filled with Virgin Expanded Polystyrene Beans.